For more than a year my husband walked around, worked at his job, went scuba diving, and tried to lead a normal life, all with a broken back. He was in pain 24 hours a day, and his insurance company would only pay for chiropractic treatments. That’s right. To this day he hates insurance companies, and I don’t blame him. It took a single visit to the right doctor to determine that not only was the pain real but that two of his vertebrae were broken. So, he knows a bit about pain. 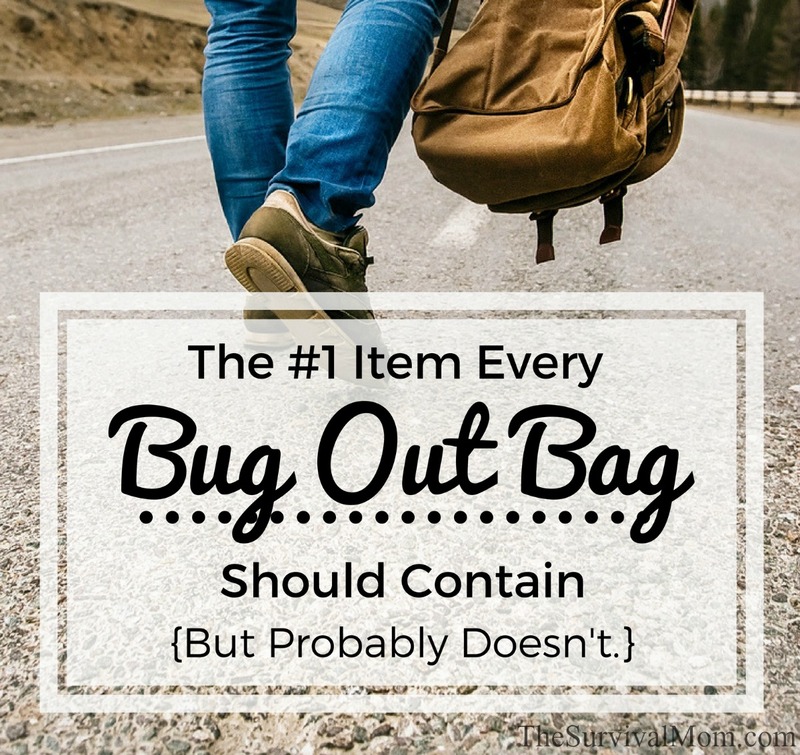 With that in mind, one item I am always sure to have on hand, whether in my car, in my desk, or in a bug out bag is a bottle of painkillers. The pain killer of choice for our family is usually ibuprofen. I’ve also been known to favor a topical product like Biofreeze, which, incidentally is something our local physical therapist uses from time to time. In a dire emergency, from the loss of our power grid to a natural disaster that destroys your home, you will be on your feet more, the sedentary lifestyle will be but a memory, and you’ll discover muscles (and pains!) you never knew you had. 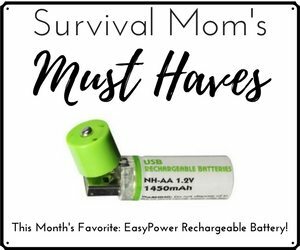 So, it makes sense to stock up on pain relief medications in order to walk just a little farther, carry the toddler a little farther, or set up a campsite when your back is killing you. While I generally prefer ibuprofen, there are other painkillers that might be more suitable for you and your family or group. Let’s take a look at them. NSAIDs (nonsteroidal anti-inflammatory drugs) are one of the most common categories of painkillers and have brand names you’ve surely seen around: Bayer, Bufferin, Excedrin, Advil, Motrin IB, Aleve. Their generic names are aspirin, ibuprofen, and naproxen. Aspirin’s active ingredient has been used for more than 2,000 years and is the original medicine for all aches and pains. Its history is fascinating, and it’s been one of the most researched drugs ever. This article explains how willow and aspirin are similar and this article tells how to use willow as a pain killer, in a pinch. You can count on aspirin to reduce the pain in muscles and joints and for toothaches. Doctors prescribe it on a regular basis to reduce the risk of heart attack and stroke. The main warning a bottle of aspirin carries is that it can cause stomach irritation and bleeding. If you have ulcers, a bleeding disorder, or kidney or liver problems, you should talk with your doctor before planning on using aspirin as your pain killer of choice. Aspirin shouldn’t be given to children under the age of 2 and any child or teenager recovering from chickenpox or the flu. Still, aspirin is readily available, inexpensive, and can be effective for years after the so-called expiration date stamped on the bottle. You can expect to feel relief from your pain within 15-20 minutes and get the full effect of the aspirin within 49-100 minutes, based on a dose of 500 mg.
For the most part, this is what I always try to have on hand. I’ve found that it’s quite effective for headaches and when anyone in the family has body aches from a cold or minor episode of the flu. This is a good choice for bringing down a fever and can even help with migraines, arthritis, and with pains caused by an injury. Like aspirin, ibuprofen can irritate the stomach, although it generally has fewer side effects. For a few months, I was taking a prescription version of ibuprofen with a dose of 800 mg, twice a day. It was effective, but after a couple of months, I had to switch to a naproxen pill due to stomach pains. For this reason, it would be a good plan to have on hand painkillers from the 3 different categories of NSAIDs. If you begin to suffer side effects from one, you can switch to a different one while still continuing to manage the pain. With larger doses beyond the typical dosage of 200 mg every 4-6 hours be sure to talk with a doctor first. Ibuprofen can be very unsafe taken in large doses or for extended periods of time. A dose of ibuprofen will start to kick in within 20-30 minutes when taken on an empty stomach, so keep an eye on your pain level and take that dose before the pain becomes extreme. Ibuprofen should be taken with food. Naproxen is another type of NSAID that many experts recommend for the type of muscle aches and pains you get from a workout or vigorous physical activity — something you might expect in a SHTF scenario. It’s also used to treat the pain of gout and osteoarthritis, tendonitis and menstrual pains as well as bursitis. Like aspirin and ibuprofen, naproxen can also irritate the stomach and it’s not something to take over a long period of time as it can increase the risk of a heart attack or stroke. Risks seem to be higher for older adults. A pregnant woman shouldn’t take naproxen during the last trimester as it could harm the baby. If naproxen is your choice of NSAIDs, it will take about 45 minutes before it fully takes effect. Generally, your best option is to take the least risky drug, at the lowest dose you need to control your pain, for the shortest amount of time possible. In the past, I’ve been able to stock up on various OTC meds for cheap by watching for coupons and store sales. Often you’ll see coupons for Advil Junior, Advil Children’s Ibuprofen, and other versions of NSAIDs for kids. Read the directions and warning label carefully to make sure that particular medication is safe for your child. NSAIDs should be given with food in order to alleviate any stomach pains associated with them and NSAIDs have been known to make kids sun sensitive as well. If they’ll be spending time outdoors, apply sunscreen so you don’t have a sunburn to worry about on top of their other complaints! The second category of OTC painkillers is acetaminophen, Tylenol being the best-known brand. Since acetaminophen isn’t a NSAID, it won’t irritate the stomach but it also won’t reduce inflammation. Instead, it’s usually given for headaches, muscle aches, back pain, colds, fevers, and toothaches. It’s generally quite safe when taken as advised, but it’s also easier to overdose on acetaminophen, and too much can be fatal. If you’re taking other meds, check the label to see if they include acetaminophen (sometimes abbreviated APAP) and if so, add up the total number of milligrams you are taking. Since acetaminophen is a common ingredient in other medications, it’s possible to overdose without realizing it. 2600-3000 mg is the maximum daily dose for an adult, whether taken straight up as a Tylenol capsule or in a combination of other medications taken throughout the day. One bright spot when you’re in a lot of pain is that it’s generally safe to alternate acetaminophen with a NSAID in order to maintain a higher level of pain relief. Surprisingly, the combination of ibuprofen and acetaminophen is more effective for dental pain than opioids, such as Vicodin. The two work together well as companions as acetaminophen is cleared by the liver, while ibuprofen is cleared by the kidneys. Ask your doctor or pharmacist for their recommended dosage, but generally, a dose of acetaminophen and one of ibuprofen taken alternately every 4 hours is safe for most people and is what our doctors have recommended to us over the years. I’m extremely wary about all painkillers, even though I recommend their inclusion in emergency kits and bug out bags. I’m especially wary when it comes to prescription painkillers, and have had friends become addicted to them. Having said that, there are times when the strongest possible pain medication is called for. This is a tricky area because, first, without advice from a doctor or pharmacist, giving a Tramadol, Vicodin or Percocet, for example, to someone with pre-existing conditions or allergies could be deadly. Dosages are based on weight and the health history of the patient. Technically, it’s illegal to give prescription medication to anyone other than the person it was prescribed for. 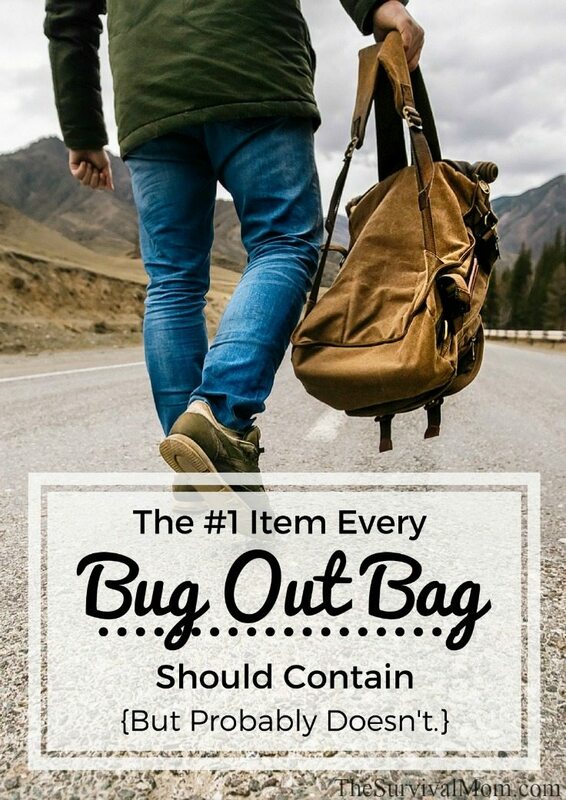 True, in a worst case scenario this isn’t likely to be an issue, but all the same, it’s something to be considered for your bug out bag. Most of the focus here has been on OTC painkillers because they are generally very effective and give quick relief. Natural remedies, though, shouldn’t be overlooked. Be aware, though, that just because a remedy is “natural” doesn’t mean that it won’t interact with other medications you may be taking with negative results. Also, try out any of these herbs ahead of time to see if they are effective or not. 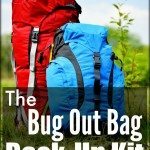 Here are a few common herbal and natural remedies for pain that would be practical to include in a bug out bag. Boswellia — For osteoarthritic pain. Capsaicin — For muscular pain. Arnica herbal rub — For topical pain. Bone broth — Supports joints and is anti-inflammatory. You can buy a powdered version of this. Caffeine — May be effective for migraines and is sometimes combined with ibuprofen or acetaminophen for greater relief. There are many other herbs that may help with pain, so continue researching and testing to see what is most effective for you. 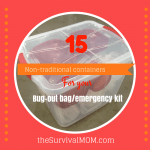 Then, put several doses of that herb in a water-tight container in your bug out bag. Another tip is to research natural painkillers in this book about foraging and learn how to identify these plants, so you’ll be able to access them if you’re ever out of range of a pharmacy or doctor’s office. The best practices for dealing with pain are, first, identifying all the possible causes of the pain and eliminating as many as possible. If the pain persists, then it’s vital to know about the individual OTC drugs, their potential side effects, and how they are best utilized. A well-equipped first aid or medical kit would contain a bottle of each drug that is safe for you and your family members to take, including infant and children’s versions. The charts on this website provide a good summary of information that you can save to your computer and print out. If you want to carry smaller amounts of these meds, then a vacuum sealer is your best friend. You can create very small pouches using a Food Saver type bag. Use the smallest size bag you can, seal several doses inside, and then trim the edges to create a tiny, sealed pouch. Use a Sharpie to label the pouch with the name of the drug and dosage. You can read more about using a vacuum sealer for things like this here. Finally, take some time to educate your family members about the safe use of these medications. At some point, it may be up to one of your children or grandchildren to either take a pain killer dose themselves or provide that med to a family member. They will need to know what is safe and what isn’t. Are You Ready for a Quarantine? Thanks. Enjoyed this excellent article as I’m preparing a medical bag to add to our winter Bug Out bag next week. Also please note that if you’re traveling with dogs (especially older dogs), they can NOT take ibuprofen, but buffered aspirin can work fine for our furry friends. Use Pill Pockets (available on Amazon, vets offices, and elsewhere) for easy swallowing. Remember dogs can be in pain after hard travel, too. Meloxicam is also an effective non-steroidal anti-inflammatory drug that can be taken by both dogs and people (check dosages obviously), usually those with osteoarthritis. 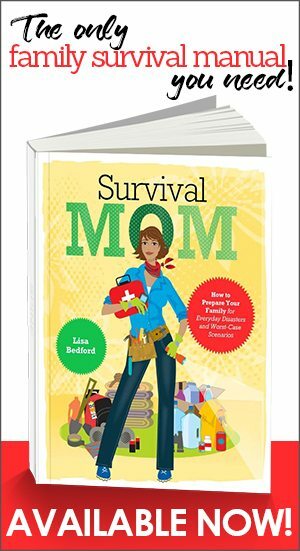 So much helpful and timely information on this website, I do thank you so much, Survival Mom. A pain counselor from VA advised my husband to never take meloxicam. Bad stuff for our organs!! I use the Walmart Generic Brand “Cool and Heat” instead of the bio Freeze, it under $4 and in a roll on, Bio Freeze cost close to $12 for the roll on. When pain medication will not work, the Bio freeze will. I normally buy a container of it for about $1 at the dollar store, called Mineral Ice or some other store brand name. I could not function with out it, as I have 6 disc Bulging/ herniated, and many muscles aches and pains from my neck and back. Again, this is a great article. I have read too many studies that acetaminophen is easiest on the kidneys, liver, and stomach. That is what I have stored. bandaid. Last for 12 hours! I have MS and am a case study at the Chiropractic College here where I live. I’ve had Biofreeze, Rock Sauce, China Gel, and many more tried on me. The one that I think is best is the Pain Away roll-on I buy at Walmart. Although I fully intend to add medicinal herbs to my survival garden, I think that trying to use them while ‘bugging out’ could be very ill advised. The stressed conditions of a full on bug out is hardely the time for experimenting. Better to have planned ahead and have reliable supplies on hand. One other thing; I think that you should edit you admonishment ‘not’ to give children and teens asprin. Rey’s Syndrome is no joke and can cause death. Your statement, as is, dosn’t make that clear enough. knew I had to find something else. I started taking Gaia Turmeric Supreme 1 capsule twice a day. After 6 months, I dropped down to one a day. I have gotten off the Aleve, this year maybe taken 2 or 3 times. 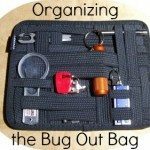 I have spent a lot of time searching (and searching) for a better way and think I’ve found it! Has anyone looked into homeopathy? We all know about Arnica for trauma, pain and bruising, however there is so much more – it’s making a world of difference in our life!!! There is something out there called Practical Homeopathy that anyone with common sense can learn. 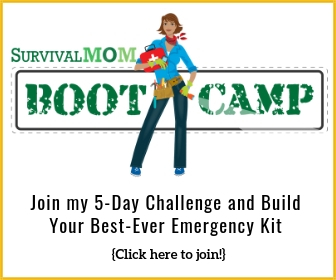 Joette Calabrese has an awesome website with lots of free info as well a many different courses. Homeopathy is natural, been around for hundreds of years, practiced worldwide (but not so much here in the USA), it’s inexpensive, AND most importantly: It Works! I know your husband’s pain all too well, and commiserate with the feelings toward insurance companies. I had C5/C6 surgery right before it could cause permanent paralysis. It was 10 years after the surgery I found out arthritis set in surrounding the area with a diagnosis of Degenerative Arthritis written in on my file. Not fun! 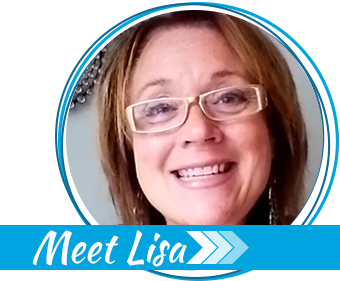 Thank you, Lisa, for a well written and informed article. It’ll be printed out to go into my binder. Great article. Have you had any experience with wild lettuce preparations to reduce pain? It was commonly used in the past as an opium like quality pain killer and grows over much of North America. There are several U Tube videos to show how to prepare and train to use it’s tinctures. Hi! Like your column and definately adding Ibuprofen 800mg which I have a script for…but please DO NOT advise people to take this on an empty stomach. I’m a CPhT and if you check ClinicalPharmocolgy.com you can get the correct dose directions OR better yet talk to your doctor. Again thanks for the info as always!